Whatever your level, we are here to make sure you get the experience you want. PFP staff and members are a close-knit group who have fun and get things done! If you are into learning new things, hands on experience, and watching things grow, this is the place for you. All of our positions are currently filled. Thank you to all of our applicants! Function: The Food Share Coordinator works with the 5 other members of the farm crew, as well as with interns, members, volunteers, and youth participants to grow food for a 600 member CSA, for restaurant and institution sales, and for PFP’s Food Share program. The Food Share Coordinator maintains an active list of all emergency food providers and oversees delivery and record keeping for donations. Function: The Wholesale Coordinator works with the 5 other members of the farm crew, as well as with interns, members, volunteers, and youth participants to grow food for a 500 member CSA, for restaurant and institution sales, and for PFP’s Food Share program. In particular, the Wholesale Coordinator takes responsibility for creating and maintaining working relationships with buyers at local restaurants, produce distributors, and other organizations. This individual also coordinates with the farm crew to fill orders and regularly communicates availability information to buyers. 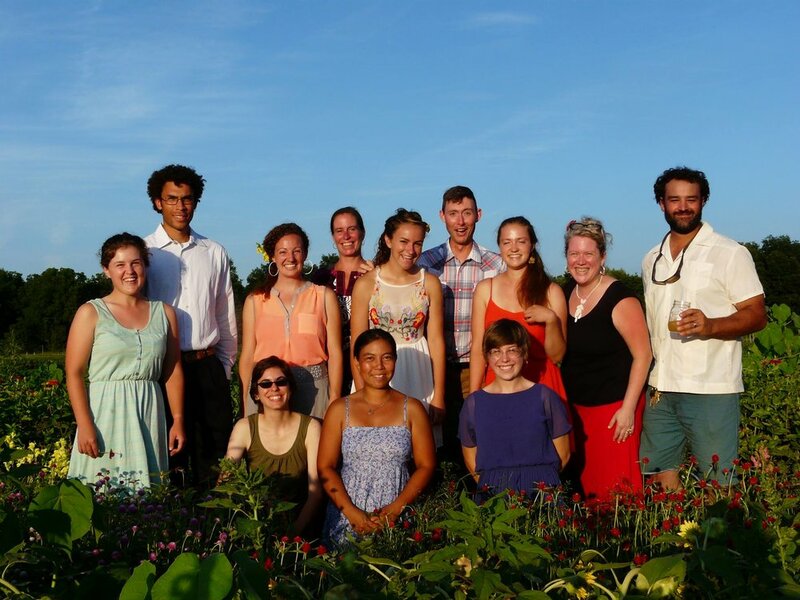 Description: Poughkeepsie Farm Project's Internship Program provides interns with the foundational knowledge to pursue a career in small-scale vegetable production. Over the last 15 years, more than 50 alumni have graduated from our programs. Our interns work on a 14-acre farm with PFP staff to grow over 200 varieties of vegetables and fruit. We provide food for a 600 member CSA and to several local institutions, while also contributing to PFP’s larger mission of working toward a just and sustainable food system in the Hudson Valley. PFP is proud to donate 20% of our produce to partner social service agencies in the area. Join our team! Our education department is seeking applicants with a passion for food justice and environmental education to implement our after-school garden clubs in City of Poughkeepsie schools and support our education programs. Ideal candidates will be energetic, passionate, forward-thinking educators ready to teach academically-aligned garden classes to a diverse student population. Our Education Interns are hired through participating universities and colleges. Please check with your academic institution. We accept volunteers for the farm, our education programs, and for events. Check out the details here.